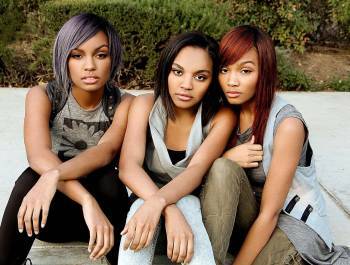 McCLAIN, formerly known as The McClain Sisters, Sierra, Lauryn, and China Anna McClain, were born and raised in Atlanta, Georgia. Coming from a family of singers, songwriters, and musicians, they have grown up in a house filled with music. They formed their singing trio at the tender ages of nine, seven, and five, building their voices and artistry from the ground up. The sisters have since then performed at the 2012 White House Easter Egg Roll, sharing the stage with R&B sensation Janelle Monae, and Australian pop singer Cody Simpson. Also, performing for over 78,000 people at the 2012 Houston Rodeo, the group rocked the stage resulting in the biggest selling night of the week long festivities. Along with their strong sense of spirituality, these singing sisters believe that their love for music, entertainment, and even more so, each other, can inspire audiences all around the world.